1. Dorovskoi AV. Segments of the global pharmaceutical market: trends and contradictions. Biznes-Inform 2014, 9: 34-40. In Russian (Доровской А. В. Сегменты мирового фармацевтического рынка: тенденции и противоречия развития. Бизнес-информ; 2014, 9: 34-40). 2. Nalimov PA, Rudenko DJ. The global pharmaceutical market: the polarity of global health. EKO (vserossiyskiy ekonomicheskiy zhurnal) 2015; 3: 116-28. In Russian (Налимов П.А. Руденко Д.Ю. Мировой фармацевтический рынок: полярность глобального здоровья. ЭКО (всероссийский экономический журнал) 2015, 3: 116-28). 4. Wysowski DK, Swartz L Adverse drug event surveillance and drug withdrawals in the United States, 1969-2002: the importance of reporting suspected reactions. Arch Intern Med 2005;165(12):1363-9. 5. The Russian pharmaceutical market. Issue January 2015. Moscow: DSM group; 2015. In Russian (Фармацевтический рынок России. Выпуск январь 2015. М.: DSM group; 2015). 6. WesterK, JönssonAK, SpigsetO, DruidH, HäggS. Incidence of fatal adverse drug reactions: a population based study. Br J Clin Pharmacol 2008; 65: 573-9. 7. Lazarou J, Pomeranz BH, Corey PN. Incidence of adverse drug reactions in hospitalized patients: a meta-analysis of prospective studies. JAMA 1998; 279: 1200-5. 8. Breckenridge A. The burden of adverse drug events. Br J Clin Pharmacol 2015; 80: 785-87. 9. Saedder EA, Lisby M, Nielsen LP, Bonnerup DK, Brock B. Number of drugs most frequently found to be independent risk factors for serious adverse reactions: a systematic literature review. Br J Clin Pharma-col 2015;80(4):808-17. 10. Makary MA, Daniel M. Medical error—the third leading cause of death in the US. BMJ 2016; 353: i2139. 11. Rieder M, Ferro A. Adverse drug reactions. Br J Clin Pharmacol 2015;80(4):613-4. 12. FDA. Reports Received and Reports Entered into FAERS by Year. (As of November 2015) Available at http://www.fda.gov/Drugs/GuidanceComplianceRegulatoryInformation/Surveillance/Adverse-DrugEffects/ucm070434.htm. Checked by 17.06.2016. 13. Lepahin VK, Sturov NV, Astakhova AV. Methods of identification and registration of adverse drug reactions during their widespread use. Trudnii Patsient 2008; 9: 42-6. In Russian (Лепахин В.К., Стуров Н.В., Астахова А.В. Методы выявления и регистрации неблагоприятных побочных реакций на лекарственные средства в период их широкого применения. Трудный Пациент 2008; 9: 42-6). 14. Astakhova AV, Lepahin VK. Medications. Adverse side effects and safety control. Moscow: Eksmo; 2008. In Russian (Астахова А.В., Лепахин В.К. Лекарства. Неблагоприятные побочные реакции и контроль безопасности. М.: Эксмо; 2008). 15. Norris S., Atkins D., Bruening W. et al. Selecting Observational Studies for Comparing Medical Interventions. Available at p://www.effectivehealthcare.ahrq.gov/ ehc/products/196/454/ Methods-GuideNorris_06042010.pdf. Checked by 17.06.2016. 16. Gliklich R.E. Registries for Evaluating Patient Outcomes: A User’s Guide. Available at: http://effective-healthcare.ahrq.gov/ehc/products/74/531/Registries%202nd%20ed%20final%20to%20Eisen-berg%209-15-10.pdf. Checked by 17.06.2016. 17. Martsevich SY, Drozdova LY, Kutishenko NP, Ginzburg ML. The registers as a way to study the effectiveness and safety of drugs. Klinitsist 2012; 3-4: 4-9. In Russian (Марцевич С.Ю., Дроздова Л.Ю., Кутишенко Н.П., Гинзбург М.Л. Регистры как способ изучения эффективности и безопасности лекарственных препаратов. Клиницист 2012; 3-4: 4-9). 18. Furberg CD., Pitt B. Withdrawal of cerivastatin from the world market. Curr Control Trials Cardiovasc Med 2001; 2(5): 205-7. 19. Topol E.J. Failing the public health — Rofecoxib, Merck, and the FDA. N Engl J Med 2004;351(17): 1707-9. 20. Psaty B. M., Furberg C.D. COX-2 inhibitors — Lessons in drug safety. N Engl J Med 2005;352(11): 1133-5. 21. Onakpoya IJ, Heneghan CJ, Aronson JK. Post-marketing withdrawal of 462 medicinal products because of adverse drug reactions: a systematic review of the world literature. BMC Medicine 2016; 14: 1-11. 22. Frankhttp://content.healthaffairs.org/content/33/8/1453.abstract - aff-1 C, Himmelstein DU, Woolhandler S. et al. Era Of Faster FDA Drug Approval Has Also Seen Increased Black-Box Warnings And Market Withdrawals. Health Aff 2014; 33(8); 1453-9. 24. Votchal BE. Sketches of Clinical Pharmacology. Moscow: Medicine; 1965. In Russian (Вотчал Б.Е. Очерки клинической фармакологии. М.: Медицина; 1965). 25. Guideline for Good Clinical Practice. 1996 Available at http://www.ich.org/fileadmin/Public_Web_Site/ ICH_Products/Guidelines/Efficacy/E6/E6_R1_Guideline.pdf. Checked by 17.06.2016. 26. Improving pharmacovigilance practice beyond spontaneous reporting. WHO Drug Information 2004; 18(3): 203-6. 27. Kukes VG, ed. Clinical pharmacology: a textbook for high schools. 4th edition. Moscow: GEOTAR Media; 2009. In Russian (Кукес В.Г., редактор. Клиническая фармакология: учебник для вузов. 4-е издание. М.: ГЭОТАР-Медиа; 2009). 28. Meyboom RHB, Lindquist M., Egberts ACG. An ABC of Drug-Related Problems. Drug Safety 2000; 22: 415-23. 29. Edwards IR, Biriell C. Harmonisation in pharmacovigilance. Drug Safety 1994, 10:93-102. 30. Naranjo CA, Busto U, Sellers EM, et al. A method for estimating the probability of adverse drug reactions. Clin. Pharmacol Ther 1981; 30 (2): 239-45. 31. Rutberg H, Risberg MB, Sjödahl R. et al. Characterisations of adverse events detected in a university hospital: a 4-year study using the Global Trigger Tool method. BMJ Open 2014;4:e004879. 33. 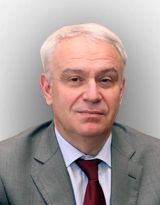 Belousov YB, Moiseyev VS, Lepahin VK. Clinical Pharmacology and Pharmacotherapy: A Guide for Physicians. Moscow: Universum; 1993. In Russin (Белоусов Ю.Б., Моисеев В.С., Лепахин В.К. Клиническая фармакология и фармакотерапия: Руководство для врачей. М.: Универсум; 1993). 34. Cunningham G., Dodd T.R., Grant D.J., McMurdo M.E., Richards R.M. Drug-related problems in elderly patients admitted to Tayside hospitals, methods for prevention and subsequent reassessment. Age Ageing 1997; 26(5): 375-82. 36. Mannesse C.K., Derkx F.H., de Ridder M.A., et al. Contribution of adverse drug reactions to hospital admission of older patients. Age Ageing 2000; 29 (1): 35-9. 37. Sánchez Muñoz-Torrero JF, Barquilla P, Velasco R et al. Adverse drug reactions in internal medicine units and associated risk factors. Eur J ClinPharmacol 2010;66(12):1257-64. 38. Passarelli MC, Jacob-Filho W, Figueras A. Adverse drug reactions in an elderly hospitalised population: inappropriate prescription is a leading cause. Drugs Aging 2005;22(9):767-77. 39. Camargo AL1, Cardoso Ferreira MB, Heineck I. Adverse drug reactions: a cohort study in internal medicine units at a university hospital. http://www.ncbi.nlm.nih.gov/pubmed/16395559Eur J ClinPharmacol 2006, 62(2):143-9.